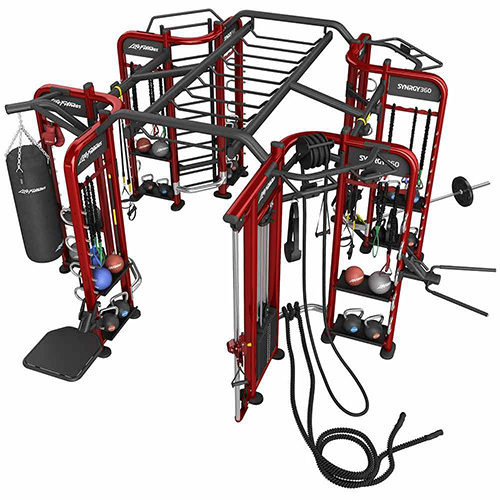 Our premier training destination has eight unique training spaces, including a 10-handle monkey bar zone and two dedicated areas for suspension training. 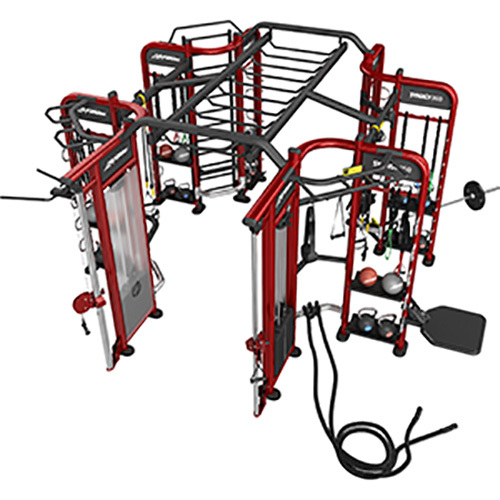 Our unique SYNRGY360 concept’s modular design can be customized to best reflect your training programs and objectives, and provide your exercisers with the motivational resources they want and need. 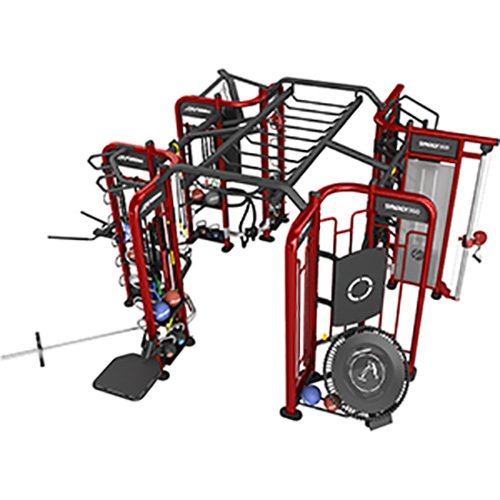 The SYNRGY360XL has three pre-selected packages, each containing a unique combination of various training modalities.